& featured in the Daily Hampshire Gazette, Northampton, MA. Toddlers can ride too! 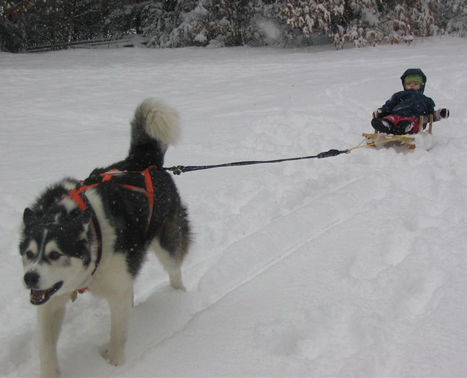 - The Malamute Lightning pulling Ruby, age 2.
the Middlefield Fair, WinterFest in Amherst & Whole Children. Ruby rides the rig, too! & Wilderness First Responder certified.